A suite deal: Arturia is offering customers a bulging greatest hits package. PRESS RELEASE: This summer, Arturia is celebrating 10 Years in business. 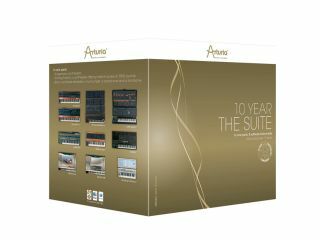 As part of the festivities we are releasing a new special anniversary pack: The 10 Year suite. · Brass, a software recreation of a trumpet, a saxophone and a trombone. These instruments offer the contemporary musician the sonic palette and the expressivity needed when quality and musicality is the highest priority. Loaded with 400 presets and modern features, each instrument will also receive a free online upgrade this summer - as part of our 10th anniversary celebration.